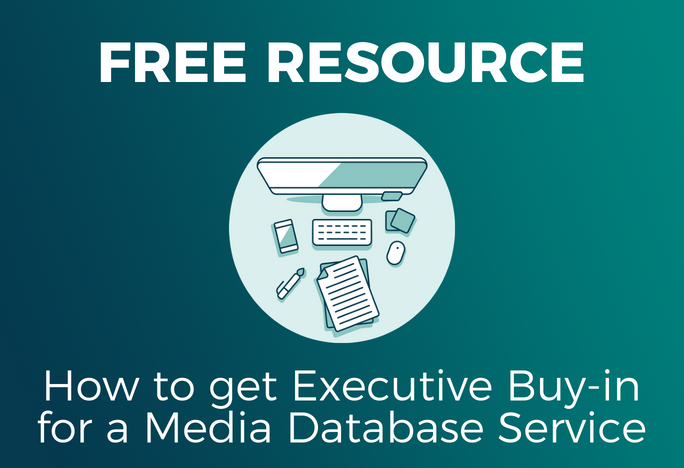 A strong media monitoring strategy is essential to any effective PR program. Not only can it reveal key information such as competitor intel and audience demographics, it can also help steer you in the right direction when it comes to future outreach efforts. The first step is choosing the right monitoring software, and it’s important to consider which features will be most crucial to your organization’s needs. Do you need to track social media mentions, online influencers, and hashtags? Perhaps you have a widespread international pickup to consider. And once you’ve collected coverage, will you be able to refine your targeted news distributions? Whatever your brand’s media footprint, a robust system that includes both monitoring and targeting tools is a must for capturing media pickup and converting it into actionable strategy. Whether you currently subscribe to PR software or are considering a new provider, make sure to do your research and consider how these nine factors play into your monitoring approach. Once your platform is in place, it’s time to tackle your monitoring setup. Use these three tips to organize and implement your keywords and interact with your coverage. You’ll first need to identify what you want to monitor. While this may sound like a no-brainer, there is actually a lot to consider. Your company or brand is a given, but what else? Past: Did you recently have a big brand promotion, event, or another noteworthy news item? Most monitoring tools have a set limit on how far back content can be captured retroactively due to availability or copyright restrictions. Consider this when selecting a potential software provider. Scrape as many relevant mentions as possible to backfill your monitoring portfolio. This is a good preliminary indicator of whether your searches are missing any glaring keywords. Also, pay attention to how prior media coverage has discussed your brand and note any areas where you may need to do double-duty on your key terms. For instance, if your company name is “Fire & Ice,” some outlets may write it as, “Fire and Ice.” Account for these dual instances in your planning (discussed further under Step 2 below). Present: Where is your brand now? Do you have an ongoing social media campaign? Maybe you work closely with a local TV station and need to consider broadcast monitoring. Consider how and where you connect with your audience and identify any challenges or issues you need to keep on top of. This should help determine what specific media types will factor into your monitoring strategy. Also, think of your organization’s thought leaders and brand ambassadors, alongside other industry influencers. Track any relevant blogs, Twitter handles, and other personal channels in relation to your brand. Extend this outward focus to your competitors by tracking rival companies, products and spokespeople. Not only will this help give you a leg up in your competitive industry space, but you can use comparative analytics to evaluate data like company mindshare and audience demographics. Future: It’s never too early to plan ahead. What upcoming events, challenges, and opportunities are in store for your company? What about emerging competitors? By accounting for and configuring searches for future milestones, you won’t be scrambling too close to a deadline and will be tipped off to breaking news as it happens. You can always go back and refine future-related searches if plans change or events get canceled or enter new items as they’re added to your company calendar. Organize: Organization is key, as you’ll likely be searching for the same terms against various media types. This will factor into configuring neat and efficient email alerts, as well. Organizing your keywords by media type, topic, people, etc., also makes future refining much easier. If you notice an increase in irrelevant coverage, for instance, you’ll be able to pinpoint its origin and tighten up your searches accordingly. If you’re under time constraints, prioritize and enter the most important searches first to get content flowing in sooner for those keywords; then, go back and enter the others. Configure: Basic monitoring tools may offer a simpler keyword search functionality, but it’s fairly standard nowadays to employ Boolean logic in searches by using the operators “AND,” “OR,” and “NOT,” in conjunction with punctuation and quotes. The Boolean method can yield very specific and sometimes complicated search strings, so it’s best to let a seasoned Boolean expert configure these searches. The basic tenets of Boolean revolve around qualifying certain keywords against other keywords. Any generic industry term, such as “finance” or “agriculture,” will yield thousands of irrelevant results. Qualifying broad terms against keywords relevant to your company narrows the search funnel and ensures you get only the most pertinent pickup. If we recycle the “Fire & Ice” example above and apply it to keywords, we might create Boolean search strings like this: “Fire AND Ice” (meaning that both words must be present for a media mention to be captured), or perhaps “Fire OR Ice” (meaning that either word must be present for a media mention to be captured). Both of these examples would require many more qualifying phrases surrounding them, as these two keywords are far too broad on their own. Media Type: Boolean setup is determined by media type. A print mention is different from a broadcast mention, which is different from a social media mention, and so on. As such, you must be careful in how you actually input your searches into the software. For instance, broadcast mentions operate on the closed captioning provided by TV stations. If your company name is discussed on air but is mistakenly miscaptioned with a different spelling, your regular search terms won’t capture it. This is similar to how Twitter handles and hashtags operate well for online mentions but may seem out of place in radio searches. Think ahead and account for these media type limitations when inputting your Boolean. Email Alerts: Be sure to configure daily or weekly email alerts based on your searches to be notified of recent mentions and breaking news; these can typically be organized by categories like media type or search topic. Refine Your Searches: Your search strings are living company assets and require serious attention and upkeep. Plan to routinely update your keywords with new competitors, leadership and management, products, campaigns and events. Tighten or loosen your search strings appropriately if you notice too much or too little coverage; determine and address any other coverage flaws or gaps, like stylized punctuation or spelling. Own Your Coverage: Passively receiving a daily or weekly email report summarizing your coverage is not the most efficient use of your time or tools. Instead, use these snapshot alerts as springboards to actively check your pickup and thoroughly assess positive, neutral, and negative content. Highlighting and sharing positive earned media mentions via your own company channels is important, but so is handling negative coverage; addressing social media complaints alone can increase customer advocacy by as much as 25 percent. By acknowledging and taking charge of a customer issue, you can further establish your brand as one that cares about its audience. You may even be able to win over prospects and sway influencers and other potential brand ambassadors. Analyze Your Data: Software that provides stats pertaining to coverage geography, audience demographics, and other crucial data points can help in your overall strategy. Use information like this to determine what markets to target for your next press release or campaign, review company mindshare analytics to see where you fall amongst competitors and pull reports of your findings to share with internal teams. Adjust Your Targeting: Use specific audience data gleaned from analytics reports to refine your targeted communications. If you notice a new influencer positively discussing or interacting with your brand, add them to a targeted media list for future news distributions. Similarly, if you can determine other audience demographics such as the age range of your Twitter followers, their interests, and their geographic locations, then you can better craft your messaging to meet them on their content-consuming levels. Continually monitor conversations across all tracked channels to help determine how to best deliver your next message. Monitoring competitors can also provide insight into how their audiences are satisfied or dissatisfied with their overall messaging and performance; use this kind of information to position your brand in a better comparative light when communicating to your client base. 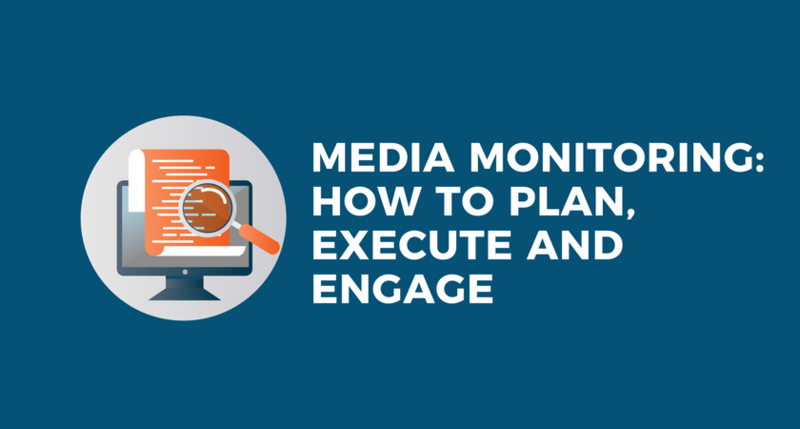 Successful media monitoring strategy is a continual loop of planning, execution and engagement. Over time, these stages will naturally become more fluid as you hone and refine your methods. Not sure where to begin? Learn how the Cision Communications Cloud can take your media monitoring to the next level by requesting a demo here. Emily Stulock is a Professional Services Consultant at Cision, providing clients with consultative guidance on media monitoring optimization. An avid reader and DIY-er, she enjoys trivia, crosswords, and long walks down the aisles of Home Depot. Connect with her on LinkedIn.